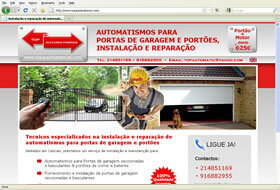 Automatic Garage Door and Electric Gates installation & repair specialists in Portugal. Very professional and fast service. I will recommend this company.